Setting a clear, effective vacation policy is an important part of your people and culture strategy and should be at the top of any employer’s mind. Ensuring that team member vacations are well taken care of can help prevent team member burnout and boost retention. And don’t forget about the benefits to your people and culture professionals; a well-thought-out policy for managing vacation time and pay will save them plenty of headaches. In this article you’ll learn how you can create an effective vacation policy for your staff. The idea that team members should be entitled to paid vacation is relatively new for most countries. Traditionally, vacations were reserved for the rich and were taken for health reasons or as a spiritual exercise, but that idea quickly evolved into something a little more mainstream. In the US, for example, it was around the mid-19th century that vacations started to become common. As historian Cindy Aron explained in an interview with NPR, it was around that time that doctors started advising people to take time off for their health (there were fears that businessmen were suffering “brain fatigue”) and some religious figures started to think that idleness might not be so bad after all. The story may be different elsewhere, but the idea obviously caught on, as countries around the world now have legislated various minimums regarding paid vacation and statutory holidays. However, there’s still no federal legislation in the US requiring employers to provide vacation. Employment/Labour standards legislation for each province and territory across Canada require that all team members, part-time and full-time, receive a minimum amount of vacation time and pay. There is also an act that sets out minimum vacation requirements for federally regulated companies and organizations. Vacation time and pay are addressed separately. Vacation time is earned after every 12 months of consecutive employment (i.e., team members are not entitled to vacation during their first year of work) and must be taken within four to twelve months of when it’s earned. Vacation pay is calculated as a percentage of vacationable earnings (wages and other forms of compensation) from the 12 month period in which a team member earns vacation time. Every province and territory requires a mandatory two week minimum for vacation time (except in Saskatchewan where it’s three). That minimum can increase with a team member’s length of service depending on what jurisdiction you’re in. For example, in Alberta, British Columbia, and Quebec, team members earn a minimum of three weeks vacation after five consecutive years of employment. There are mandatory statutory holidays to consider as well. Full-time team members are eligible for paid statutory holidays, and part-time team members may be eligible as well depending on the rules in each province and territory for determining whether part-time team members must receive stat holiday pay. 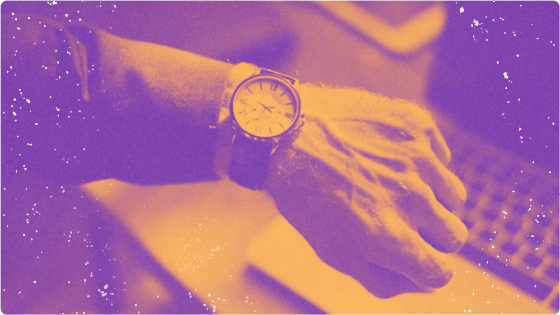 Many employers allow team members to choose their own vacation time, within reason, but it’s actually up to an employer to make sure team members take their time off. Some provinces and territories, including Alberta and British Columbia, don’t allow team members to waive vacation time, recognizing the need for their team to get much-needed breaks. There are differing rules on whether vacations may be taken in one-week chunks or in single days as well. In terms of vacation pay, team members in Canada earn a minimum of four percent of vacationable earnings, although this goes up to six percent after a number of years in certain jurisdictions. Albertans earn six percent after five years of consecutive employment, while in New Brunswick, it’s six percent after eight years. In Newfoundland and Labrador, team members can wait fifteen years before earning six percent! Again, Saskatchewan is the odd one out; employees there earn three weeks of vacationable earnings or four weeks after ten years of consecutive employment. 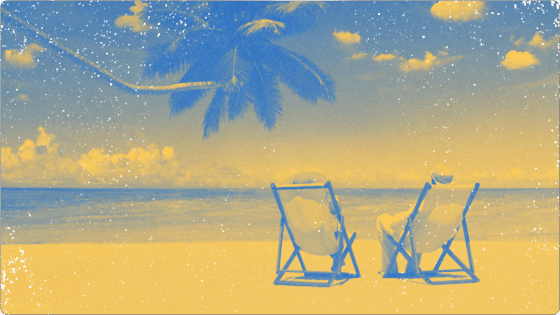 Whether or not a type of compensation counts as “vacationable” can differ between jurisdictions as well, as there is often more than just regular wages involved in calculating vacation pay. Overtime pay counts as vacationable in most provinces and territories, but not in Alberta and Manitoba. Statutory holiday pay is only vacationable in some jurisdictions, while bonuses count in most places as long as they’re work-related rather than discretionary. Vacation pay is usually paid out when a team member goes on vacation. It can also be paid differently, for example, as a lump sum each year or on each paycheque. Be careful, however: while most provinces and territories allow vacation to be paid out on each paycheque, federal legislation does not, and Quebec only allows it under certain circumstances. These are just the legislated minimums. If a collective agreement or employment contract provides a greater right or benefit (i.e., more vacation time or pay), that trumps legislation and payroll and HR professionals must adhere to those rules instead. Lastly, you need to have a clear form and process for vacation requests and keep track of how much vacation time and pay has been taken. Some jurisdictions require it, and since it’s up to employers to prove they’ve given vacation time, they could end up paying team members twice (e.g., upon termination) if there’s no record that they’ve already been paid. Laws regarding vacation days in the U.S are quite different from the rest of the world as well. When it comes to vacation time, there is no mandatory number of vacation days an employer must provide. The Fair Labor Standards Act (FLSA) states that an employer does not have to pay their team member for time not worked, such as vacations, sick leave, or federal or other holidays. However, if an employer chooses to provide paid vacation, the team member and employer must sign an agreement upon employment. This is not uncommon: 77% of private employers offer paid vacation to their team members, with full-time team members earning on average 10 vacation days after one year of employment. The amount of vacation time earned increases if the team member stays with the company, and a common trajectory is as follows: 10 days after 1 year, 14 days after 5 years, 17 days after 10 years, and 20 days after 20 years. If a team member chooses not to take their paid vacation, it is up to the employer to decide whether or not a payout will occur. This will have been determined at the beginning of employment. There is no federal law stating that an employer must pay their team member a payout if vacation time incurred is not taken unless stated in an employer/team member agreement. Similarly, 77% of employers offer their team members 8 paid holidays per year. Again, there is no law stating this is mandatory, just a common courtesy that many employers feel their team members deserve. While paid vacation days are becoming the norm, there are still about 25% of American workers, roughly 80,690,504, without the ability to take a paid break from work. In his book, The Happiness Advantage, Shawn Achor found research that suggests that when “The brain can think positively, productivity improves by 31 percent, sales increase by 37 percent, and creativity and revenues can triple.” How does the brain achieve its maximum ability to perform? Well, it’s really a no-brainer: it needs a break. American employers really do need to step up to the plate and offer their hardworking team members the time off they need and deserve. Paid vacation contributes to the health and happiness of team members, which leads to productive team members, and that leads to company success. Now that we know how to set a vacation policy that meets the minimum legislative requirements, let’s get creative. Going beyond the minimum requirements and offering a great vacation package goes a long way towards fostering team member satisfaction and retention. The idea, of course, is that team members will feel free to take whatever time off they need without worrying about using up their precious few vacation days. This idea, however, isn’t without its potential drawbacks. Some team members abusing the policy as well as others feeling pressured not to take any time off are both concerns. Sometimes a team member doesn’t need a vacation, they simply need a day off to recharge. Offering paid birthdays off, personal days or a generous number of sick days helps team members get the time they need when they need it. Not only does that increase productivity, it also helps to prevent presenteeism. Once you’ve decided how much vacation time and pay your team gets, you’ll need to consider things like how team members will receive vacation pay (on each paycheque or when they go on vacation? ), whether they’ll be able to carry over any unused vacation to the next year, and how vacations will be requested and scheduled. Whatever you choose, ensure that the rules are clearly stated and communicated to your team so that everyone is on the same page. Coming up with an effective vacation policy really just requires more than simply knowing how to stay compliant. It’s about understanding how important it is to recharge, and ensuring a smooth process so that team members can do so will make everyone’s life easier. In addition to having well-written and effective rules regarding vacation pay and time off, it’s important to make sure that the policy is being implemented correctly and consistently. It would not look good if one team member was allowed to carry over unused vacation time while another was not, for example. It’s also a good idea to encourage open communication within your organization so your team feels comfortable speaking up if the current vacation structure isn’t working. This is especially true when making any major changes to your policy. Beyond that, it’s best to double check that your policy meets all requirements for the province or territory you’re operating in. Vacation is an important consideration in any working environment and taking the time to come up with a solid policy will ensure team members are well-rested and refreshed while limiting stress for payroll and HR professionals. So get creative and draw up a vacation policy your entire organization will love. We know you can! Do you have any other tips for setting an effective vacation policy? Share them with us on Facebook, Twitter, or LinkedIn — we’d love to hear from you!